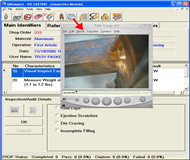 The QMInspect module provides a user-friendly interface for Inspectors and Auditors to record their findings on the plant floor. 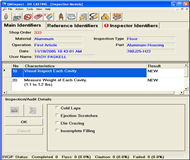 The inspection results are then uploaded to the QMSuite Database for storage and analysis. Flexible interface can be configured for use on portable tablet PCs with touch screens, industrial workstations, or desktop computers. 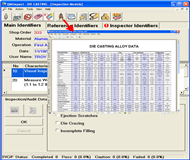 User passwords control access and records data entry history. 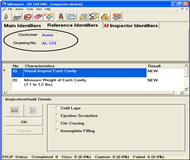 Visual feedback indicates which characteristics did not meet the acceptance criteria. 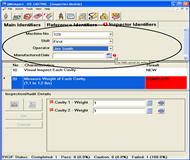 A message is provided to the Inspector/Auditor if required items are not entered. 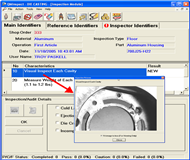 The results of the Inspection/Audit are easily uploaded to the QMSuite Database using a single command button. 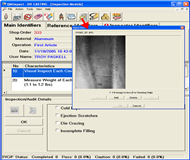 Data can be collect for Continuous and Batch type inspections. Click on a screenshot to expand!